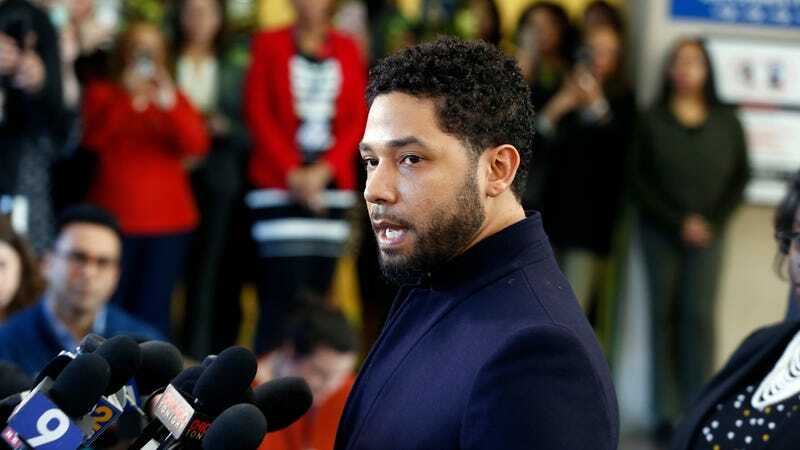 Plenty of people are pissed about last month’s revelation that all charges would be dropped against Jussie Smollett after the actor was accused by authorities of staging a hate crime against himself earlier this year. No one, though, is angrier than the City of Chicago, who The Chicago Tribune reports has filed a lawsuit against Smollett after the actor refused to reimburse the investigative costs that went into the case. Smollett has maintained his innocence in the wake of both the initial 16-count indictment—which claimed that Smollett paid two men to stage an attack in which they attacked him, shouted homophobic slurs, and wrapped a noose around his neck—and Cook County State’s Attorney Kim Foxx’s office decision to drop the charges.